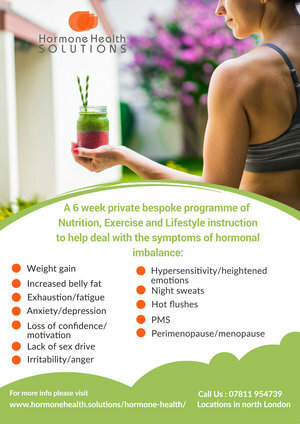 Denise is a Nutritional Therapist, Group Exercise Instructor and Personal Trainer with a special interest in women's hormone and pelvic health. After having two babies, her own experiences with pelvic floor dysfunction and hormonal imbalance led to a deep fascination of these areas. She now offers group courses, private classes and workshops to help other women. Believing that the best results come when people take a more active role in their own health, Denise provides education, encouragement and practical advice in nutrition, exercise and healthy living so her clients can feel and look their best. Contact Denise at denise@hormonehealth.solutions or on +44(0)7811 954739.